You will need to apply for your HI driver's license in person at a DMV office. You will need to pass a vision exam, written test, and driving skills test. You will need to submit various documents and pay the required fees, which differ depending on the county you live in. Continue reading to learn more about applying for a driver's license in your Hawaii county. NOTE: If you're a teenager, you will need to meet the requirements of the graduated driver's licensing (GDL) program before you will be eligible for a driver's license. Please see our Applying for a New License (Teen Drivers) page for more information. If you've just moved to Hawaii from another U.S. state, you may be able to transfer your current out-of-state driver's license. Your procedures and requirements may differ depending on which Hawaii county you reside in. You will generally need to provide all of the required documents as outlined below in addition to surrendering your out-of-state driver's license. 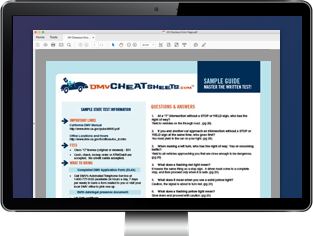 As long as your out-of-state license is valid, your driving test may be waived, but in most cases, you will still need to pass the written knowledge and eye tests. NOTE: If you live in Maui county, you will also need to submit a signed notification letter stating you voluntarily surrendered your driver's license. For more information, contact your local Hawaii DMV office. In Hawaii, there are different types of licenses issued depending on your age and the vehicle you are driving. Instruction permit: Allows you to operate a vehicle under certain restrictions. Provisional driver's license: Required if you are younger than 18 years old. Driver's license (Class 3): Regular driver's license to operate standard vehicles. Commercial driver's license (CDL): Has different classes depending on the type of vehicle you need to drive. You are 17 years old and have completed the graduated driver licensing (GDL) program. NOTE: Regardless of your age, the Kauai Treasury Division of Finance requires you hold a Hawaii instruction permit or out-of-state driver's license before you can apply for a driver's license in the county. Contact your local Hawaii DMV office before applying to make sure you're eligible. A completed State of Hawaii Driver License Application. Foreign passport with valid U.S. visa. 1099 form from a previous year. For a complete list of accepted and required documents, please see the Hawaii Department of Transportation (DOT) website. *NOTE: If you're an out-of-state transfer to the county of Hawaii, you will not be required to pass a written knowledge exam as long as you turn in your old out-of-state driver's license. In addition to passing a standard eye exam, most applicants will need to pass both a written knowledge and driving test in order to obtain your first Hawaii driver's license. Generally, you will be given multiple choice test, of which you must get a certain number correct in order to pass. If you fail the exam, you may have to wait a certain number of days before re-taking it. There is usually a waiting period of before you can re-take the exam. NOTE: The Hawaii DOT has an oral option if you need the test read out loud to you. There is a higher fee for this service. If you live in Honolulu county, the oral exam is offered at the Kapalama and Wahiawa offices only. An ideal way to ensure passing the written test on your first try is to study with the help of a comprehensive online practice test. These learning guides will help you understand the material and retain it. To take your driving test, you will need to provide a vehicle, a current safety inspection certificate, and no-fault insurance card. Contact the Hawaii DMV before your test to make sure you have all the documents you need. You will be tested on your ability to safely operate your vehicle and follow road signs and traffic rules. To make an appointment, simply call the office you plan to visit, or send an email request to roadtestappt@hawaiicounty.gov. You will need to pay various fees to obtain your Hawaii driver's license. These fees may vary depending on which county you live in. For more fee information, including accepted payment methods, contact your local HI DMV office directly. NOTE: Some offices do not accept credit/debit cards. 18 to 24 years old: $20 (for 4 years). 25 to 71 years old: $40 (for 8 years). 72 years old or older: $10 (for 2 years). Valid for 1 year or less: $5. If you need the test read out to you, you will need to visit Kapalama or Wahiawa office and pay a $10 fee. Under 25 years old: $20 (for 4 years). Non-U.S. citizen verification (if applicable): $1. Oral exam (in place of written test): $10. Electronic Verification of lawful U.S. presence: $1.